Enter BG | A Consequence of Hypoglycemia. You’d think this is the easy part of using the Dexcom. If you ignore the receiver for long enough it’ll ask for a blood glucose reading to make sure things are properly aligned. But, this device doesn’t comprehend the emotional toll of a single blood test. Did I take enough insulin? Did I have enough to eat for the insulin I took? Am I out of low-treating snacks? 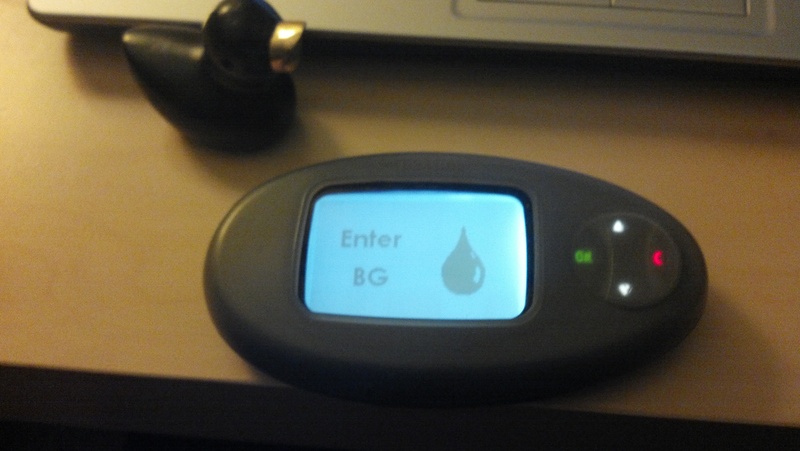 Do I really want to know what my blood glucose is right now? How old is this sensor? Should I change it? Crap, I need to reorder test strips. The act of testing my blood glucose is simple, but there’s always baggage. Nothing about diabetes is simple. I don’t know how I missed this post but THIS. EXACTLY THIS!! !